We are proud to announce we will be at BIO Internationalconvention this June. There is no better place to connect with biotech’s top people and most innovative technologies, with more than 35,000 partnering meetings taking place in 4 days. 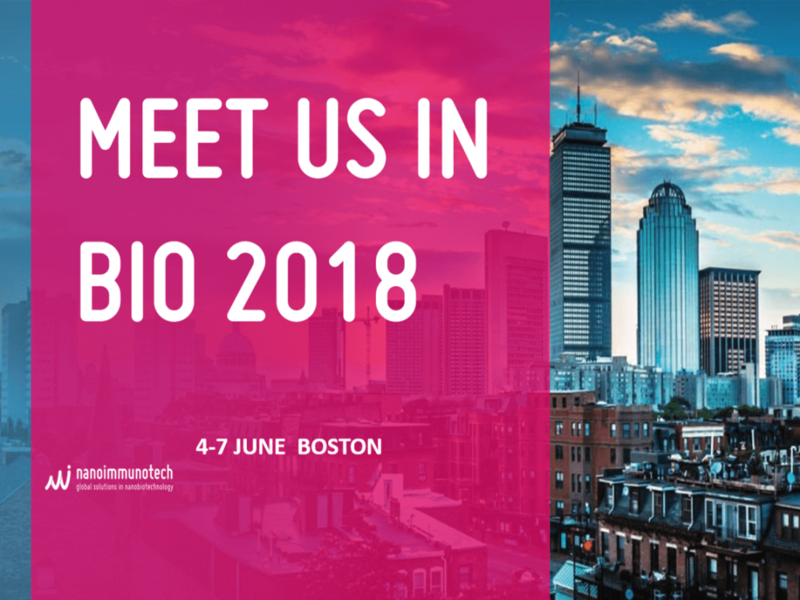 Nanoimmunotech will be there attending partnering sessions and available to talk about Heatsens and Bioconjugation. We are looking for partners for licensing out or co-develop our Heatsens technology for the detection of analytes in low concentrations. Our technology is charaacterized by greater specificity, greater sensitivity and reduced analysis time, resulting in higher flexibility and lower costs. These characteristics make Heatsens applicable to any sector needing to detect an analyte present in low concentration, such as clinical diagnostics, for example for cancer biomarkers, or food safety for the detection of pathogens and allergens. We are also experts in oriented bioconjugation of any kind of biomolecule (antibodies, enzymes, DNA, RNA, small drugs, fluorophores...) to nanoparticles, surfaces or chips meaning higher specificity and sensitivity for your process. If you need to improve your immunoassay or point of care device sensitivity, our R&D department can give you advise on how to apply our nanoparticles or/and our oriented bioconjugation method.